CALBAYOG CITY – DPWH Samar First Engineering District Office will soon implement seventeen (17) Multi-Purpose Buildings, with a total appropriation of P50 Million from the FY 2018 DPWH infrastructure program. MPB projects aim to provide a decent venue for their community-based, socio-cultural and economic activities. On the other hand, it will serve as temporary shelter to the families affective during times of man-made and natural calamities. MPBs are set to rise in 1 city and 4 municipalities with in the First District of Samar. Multi-Purpose Building, Caglanipao Sur; Multi-Purpose Building, City Arts & Culture Office, Brgy. 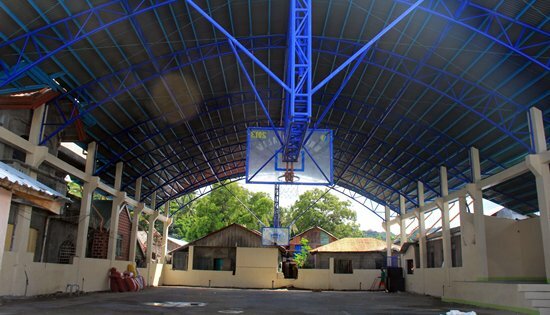 Central; Multi-Purpose Building, Jose Roño; Multi-Purpose Building, Libucan Daku, Tarangnan. Samar; Multi-Purpose Building, San Agustin, Gandara. Samar; Rehabilitation of Multi-Purpose Buidling, Manguino-o; Rehabilitation of Multi-Purpose Building, Brgy. East Awang; and Rehabilitation of Multi-Purpose Building, Napuro I, Sta. Margarita, Samar. As of February 23, 2018 plans and program of works for these projects have been approved, contracts have been bid out and awarded, Notices to Proceeds have been issued to contractors. All projects are estimated to be accomplished within the year.